CLICK HERE to read the table of contents and introduction. This book presents a substantial introduction to the major methodologies, figures, and themes within African American theology. Frederick L. Ware explores African American theology from its inception and places it within dual contexts: first, the African American struggle for dignity and full humanity; and second, the broader scope of Christian belief. Readers will appreciate Ware's demonstration of how black theology is expressed in a wide range of sources that includes not only scholarly publications but also African American sermons, music, news and editorials, biography, literature, popular periodicals, folklore, and philosophy. Each chapter concludes with questions for discussion and suggested resources for further study. Ware provides a seasoned perspective on where African American theology has been and where it is going, and he demonstrates its creativity within the chorus of Christian theology. "African American Theology is a remarkable achievement. While a very helpful introduction to the field for students who need an initial orientation, it also succeeds in bridging evangelical-ecumenical impasses and in pushing the discussion forward in interdisciplinary, intercultural, and transcontinental directions. 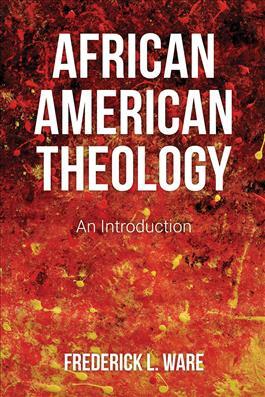 Ware is uniquely suited to thereby register the crucial contributions of this multifaceted African American theological tradition to the broader conversation." "Frederick Ware's book provides an important and compelling addition to the field. African American Theology: An Introduction will become a standard, accessible reference point for those wishing a comprehensive overview of the belief systems of African Americans. The strength of this text lies in the individual vision Ware brings to the subject as one of its most experienced scholars. While there are larger, more comprehensive anthologies dedicated to the subject, this text provides a compelling combination of broad overview alongside the cumulative wisdom and experience of an individual author. Frederick Ware is to be commended for giving us an essential text that will be of great service to all educators committed to communicating the critical insights of African American theology."